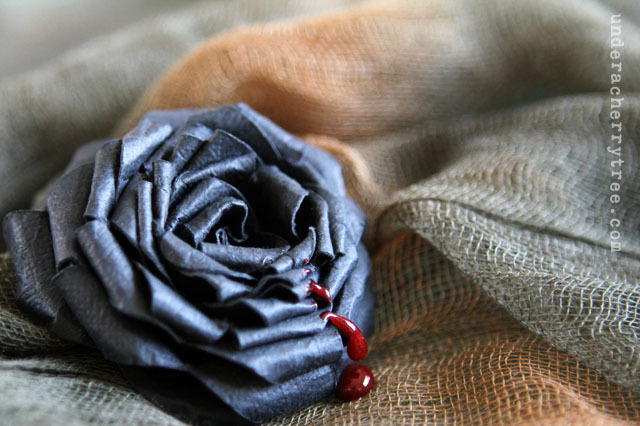 When I made my black rose last week, I wanted to add a simple dramatic effect to the picture. 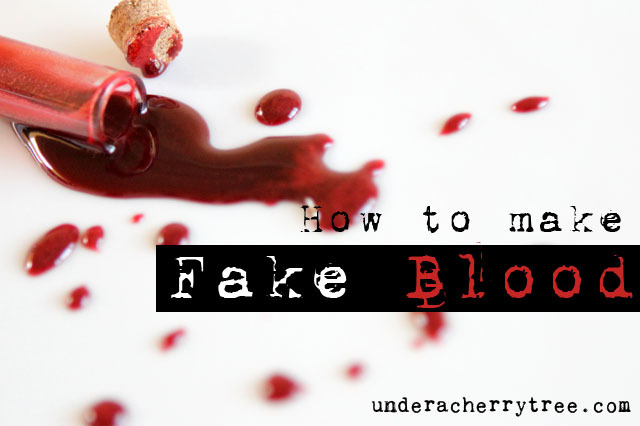 What I had in mind was a single drop of blood on the flower. "How hard can it be, right? ", or so I thought. Just a drop of red acrylic paint would work. Yet when I tried that, the paint looked exactly like what it is.....paint! :-( I was bummed and decided to look for help from my buddy, Mr. YouTube. The first tutorial that I found was this and while the quality of the video leaves a lot to be desired, the instructions were precisely what I was looking for. The explanation was clear and the steps were super easy to follow. Click HERE if you want to watch the video and for those of you who prefer a written step-by-step, this post is for you. 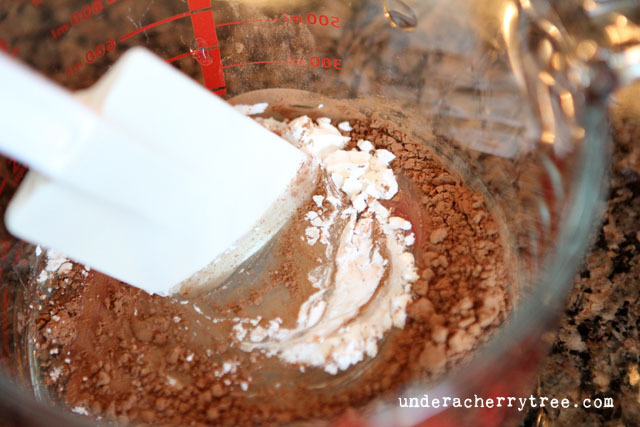 In a measuring cup, add the light corn syrup, cocoa powder, and cornstarch. Stir until well-blended. 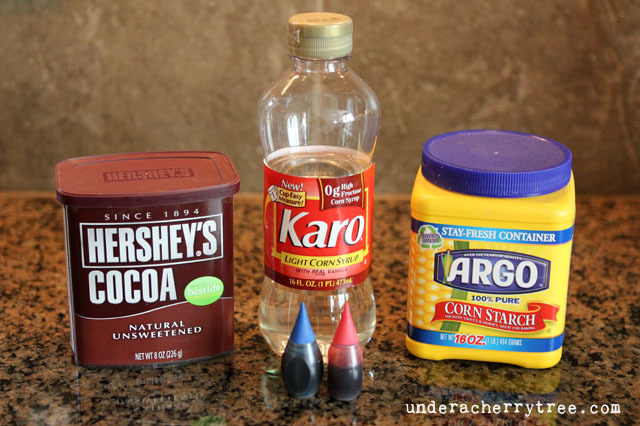 Add the blue food coloring, followed by the red. Stir. 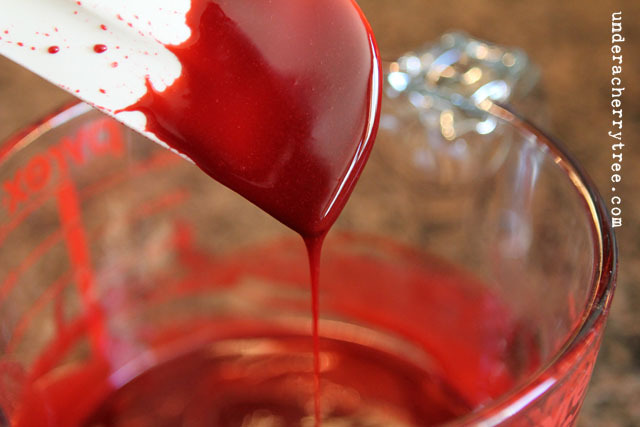 Once the colors are blended in with the corn syrup mixture, add another 1/2 tsp of red food coloring to brighten the "blood". 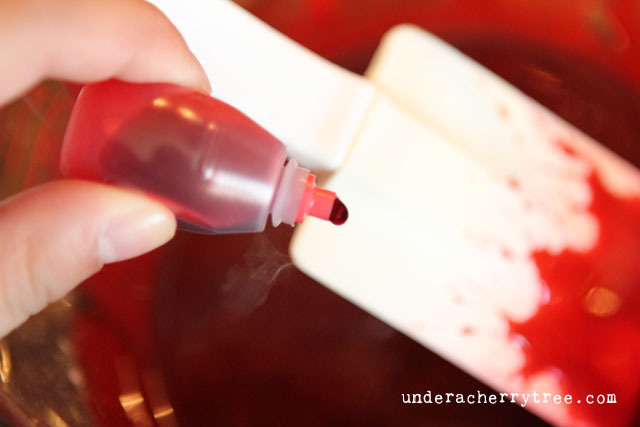 (The video calls for 1/2 tsp of red dye but I only used about 2-3 drops). 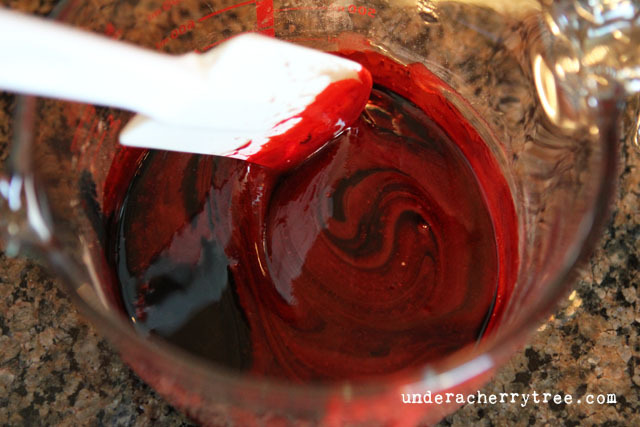 Stir until everything is well-mixed and looks like blood. That's it! It's so simple, right? 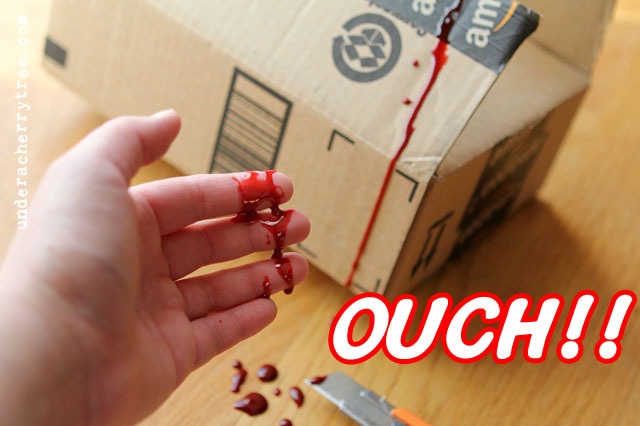 Now you can use it to add bloody effects to anything you want. 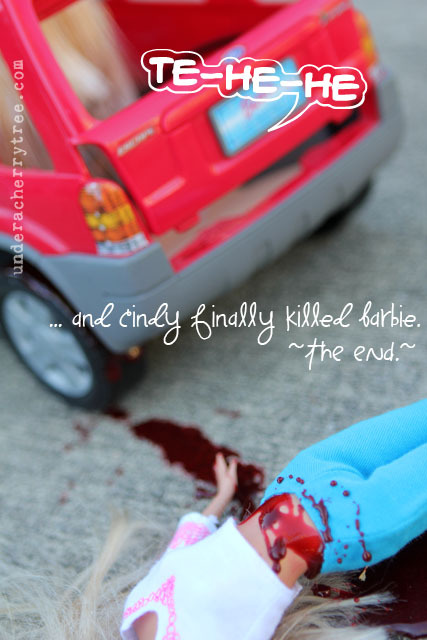 ...or help your favorite childhood doll take revenge on her rival. Or use it with your papercrafts. Here is an additional tip posted by a reader in the Comments below. Thanks, craftopia! 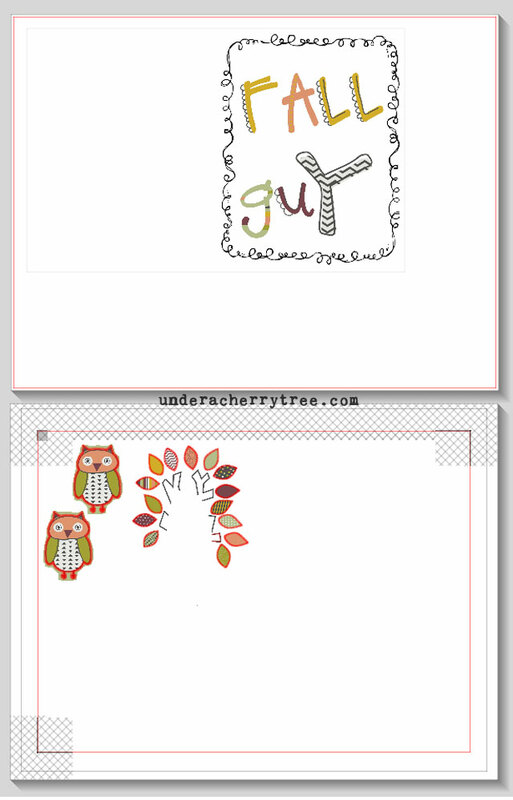 LD Friday Freebie: It's Fall Y'all Printable + More! 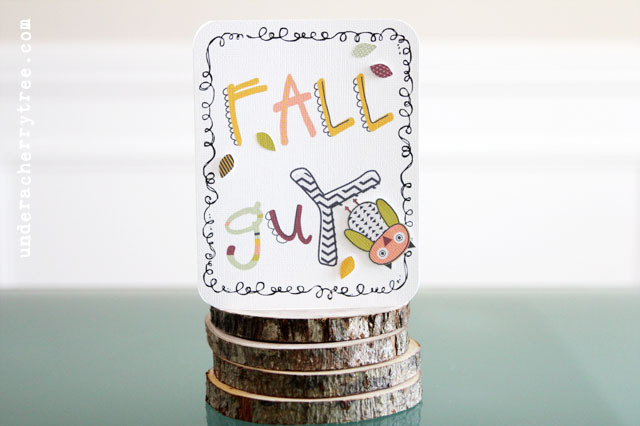 Click HERE to get the "It's Fall Y'all" Printable. Just add it to your cart and check out. You pay $0! ScrapNfonts is the sister site of Lettering Delights and they too have a freebie to give away today. Click HERE to get DB Kapow for free. Did you hear that there is a new Silhouette cutter that is coming soon? You can find more info about the Silhouette Portrait HERE. By the way, I have no affiliation with Silhouette America or US Cutter. I just wanted to pass the info to y'all. Eek! It's a bloody black rose. heheh.. I used the Quilled Flowers set to make the rose and I think it turned out okay. Anyway, I just wanted to share the idea with those of you who already has the set, that you can use it for Halloween too. If you don't have the Quilled Flowers Cut It Set, click HERE to get it. Speaking of Facebook covers, LD recently held a FB cover photo contest and I won! Woohoo! I've arranged with LD to split up the prize into 5 gift certificates. I am going to be giving away a $10 LD gift certificate to a reader of this blog everyday next week! Yay, me! LOL. So don't forget to check back here on Monday for the first of 5 giveaways. 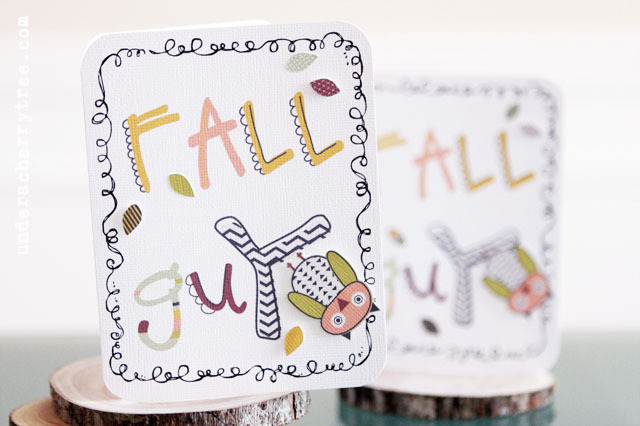 The Lettering Delights Fall Sale is in full swing and they are giving away yet another freebie today. Get the Stuck On You Paperclips Cut Its Set by clicking HERE and going through the checkout. You pay $0! 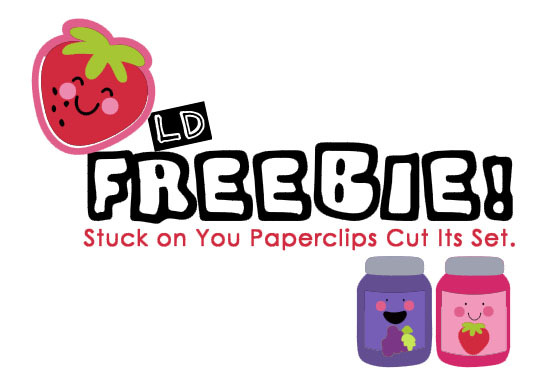 Here are some other freebies that are still available on the LD site. Click on the image to get them before the free offers expire. There are a lot of good deals on the LD Fall Sale. Most Fall-themed graphic sets, fonts, papers and clipart are only $1/set while most Cuttables (Cut Its or SVGs) are $2/set. Don't miss out, click HERE to check it out. The truth is, I really just wanted to play with the Owl-lelujah Alphabet (free until tonight!) and so I did. I used it for the card front and added a frame from DB Journal Doddles. I printed the card and trimmed it with my paper trimmer. The owl and the leaves, on the other hand, were print-and-cuts. I adhered them to the card front with foam tape and glue. So that's it! That's my punny card of the day. :-) And look, no candy corn. HA! 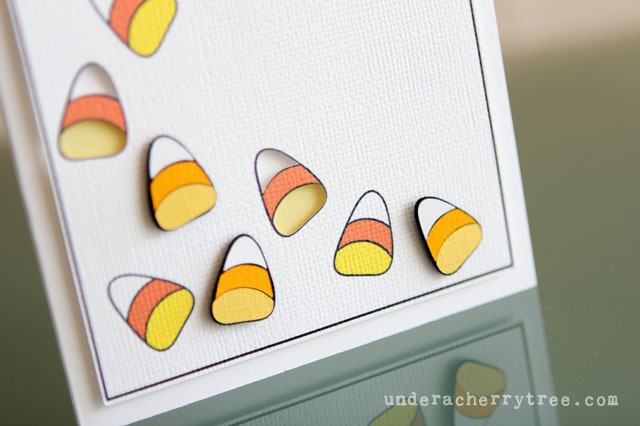 When I put up my candy corn cut file on the Skydrive the other day, I didn't realize that not everyone who reads this blog uses cutting machines. Some of you are cutting by hand. 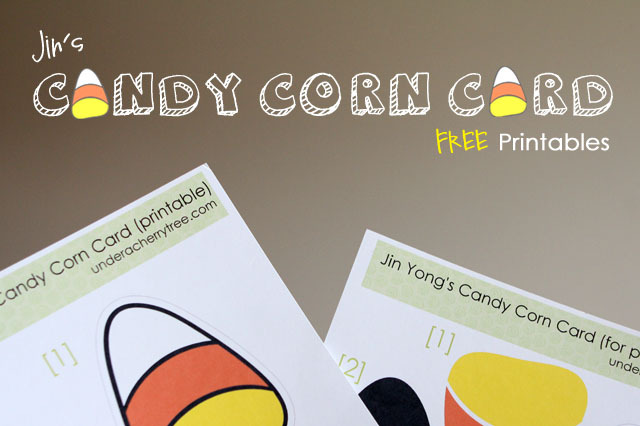 Because you asked, I've gone ahead and added the printables for the Candy Corn Card in the PDF format. 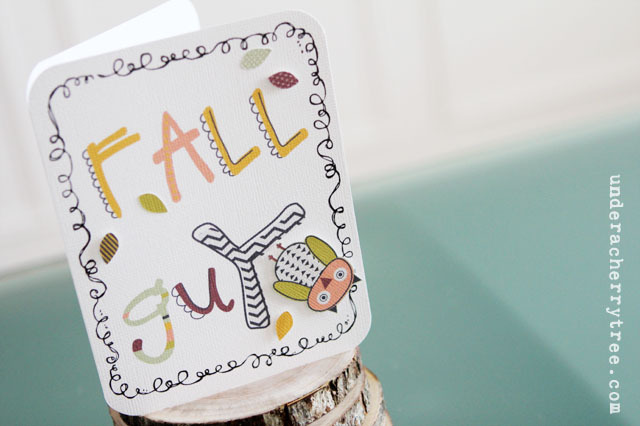 To get your free printables, just CLICK HERE to go to my Skydrive. Click on the folder icon to start the download. Quick! It's LD's $2 Tuesday and for two days you can get the Love Rocks Collection for only $2. 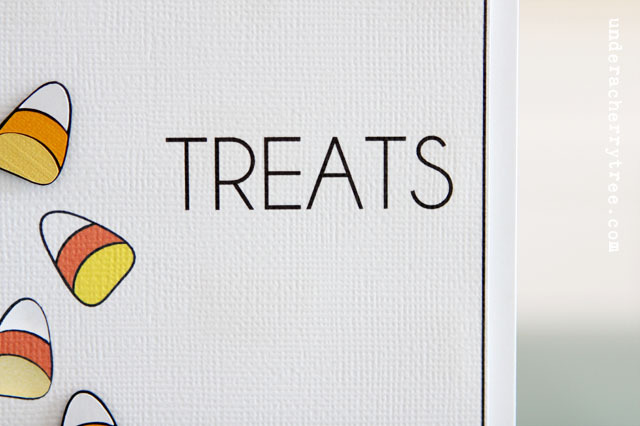 It is usually $10 and includes the Love Rocks Paper Pack, Alphabet, and Graphic Set. These are great for print-and-cut! 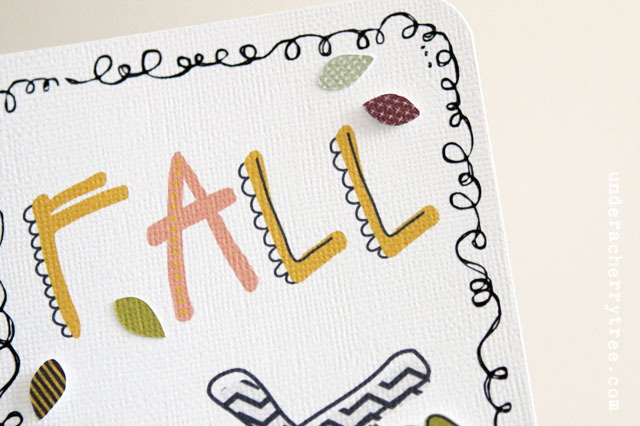 If you prefer layering or paper-piecing, you are in luck! The Love Rocks Cut Its are also available for only $2 from now until Thursday night. Click HERE to get your Love Rocks Collection or Cut Its now. The LD Fall Y'all sweepstakes is still running, and now you can get a a second chance to win their Zutter Bind It All Prize Package. 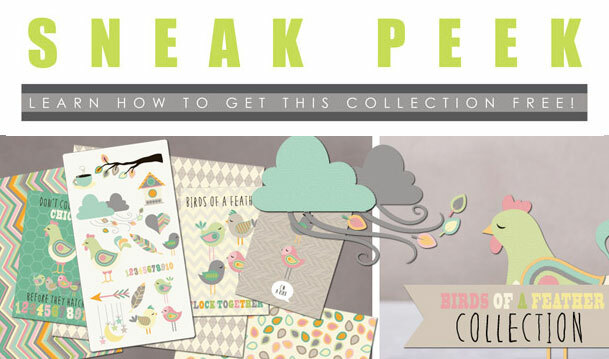 Just refer 3 friends to their sweepstakes and you would even get their Birds of a Feather Collection absolutely free! Click HERE for all the details. 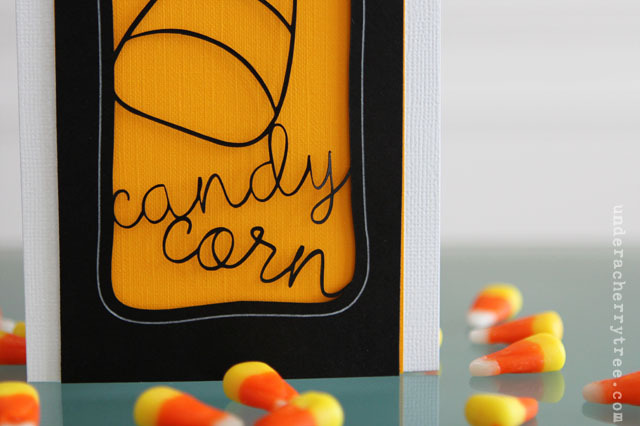 Are you tired of looking at candy corn yet? 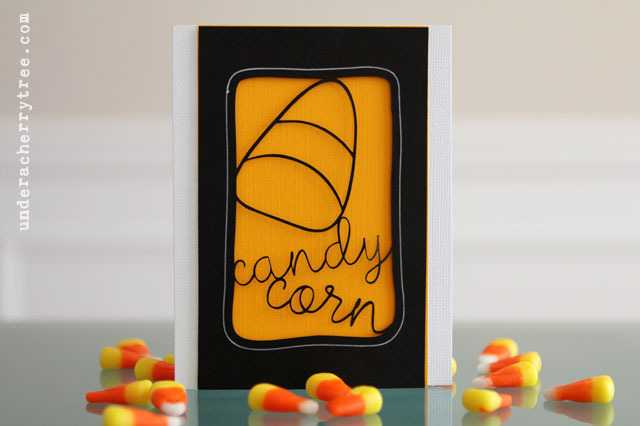 I hope not because I have one more candy corn card to share with y'all. 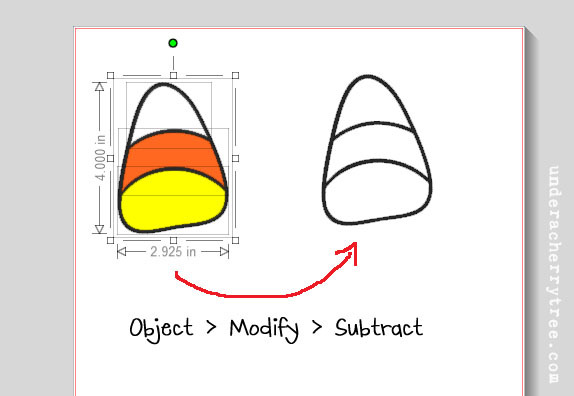 Do you remember the "Simple Shape" that I made last week? Well, I thought I would try to make a candy corn version. (If you missed that post, just click HERE to read it). Once again, I used the Silhouette Cameo to cut and to draw. I think I held my breath the whole time this was being cut but I'm so happy with how it turned out! 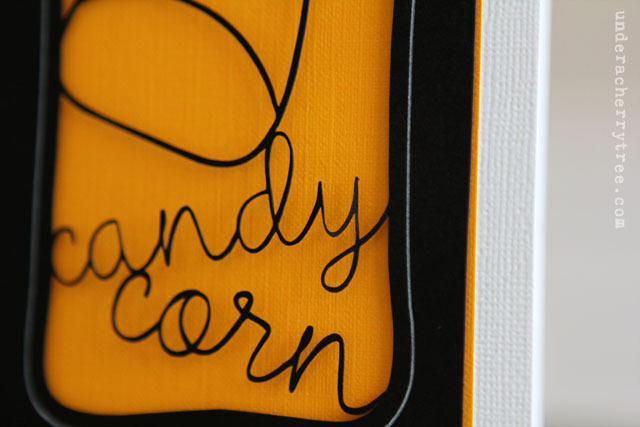 The letters were so fine it almost felt like wirework. I could even stretch it by tugging on it. Cool! The card looked amazing but I really wanted to add some color to it so I trimmed it to fit on a separate white card base. 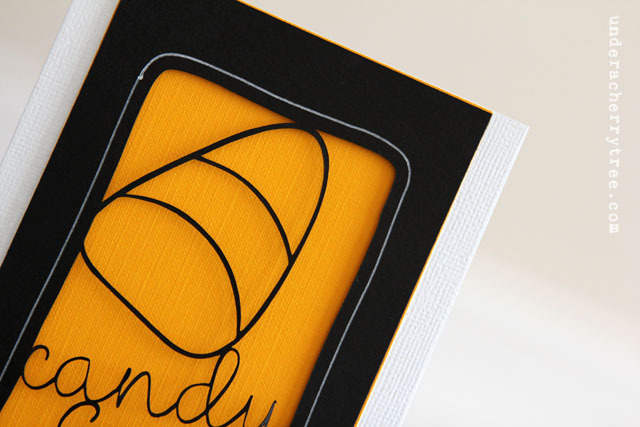 - Use a cutting mat that is sticky enough to hold the cardstock but not so sticky that you can't remove the cutout. I used an old eClips cutting mat to make this card because my new Silhouette mat is simply too sticky and the cutout will rip when I try to remove it from the cutting mat. (Don't ask how I know! :p ). 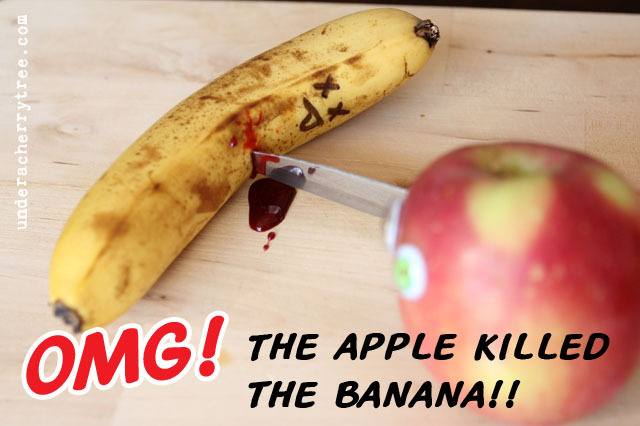 - Use a spatula to remove the cut out from the mat to lower the risk of tearing it. I use the Cricut spatula that I bought during my Cricut days. 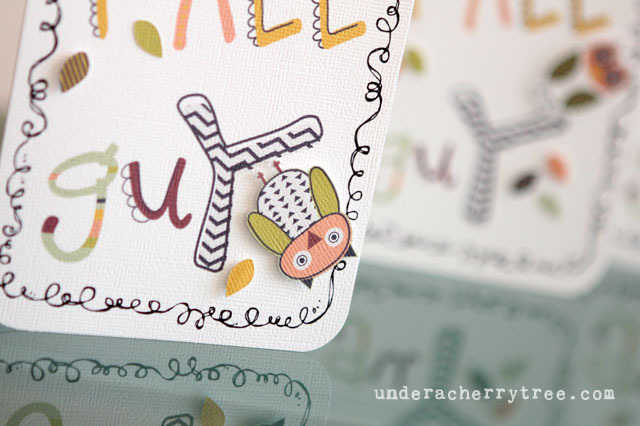 - The cardstock that I used is from Michaels' Recollection brand. 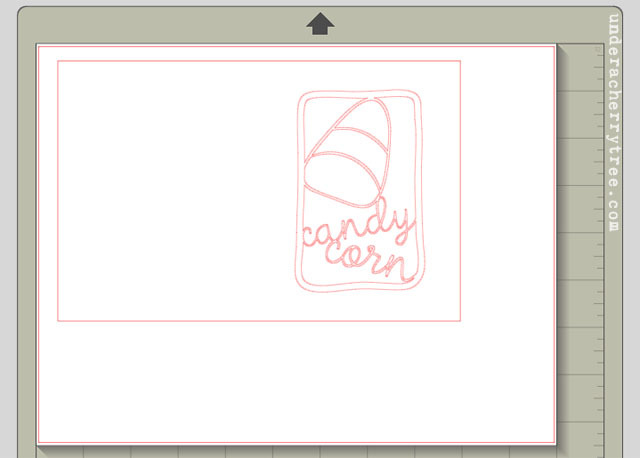 - I used the preset setting for heavy cardstock (Speed 3, Thickness 33, Blade 3) in Silhouette Studio to cut the design. While you're at the LD store, don't forget to pick up today's Owl-lelujah Alphabet for FREE. Just add it to your cart and check out. This set is only available for free for two days so don't wait, click HERE to get it now. 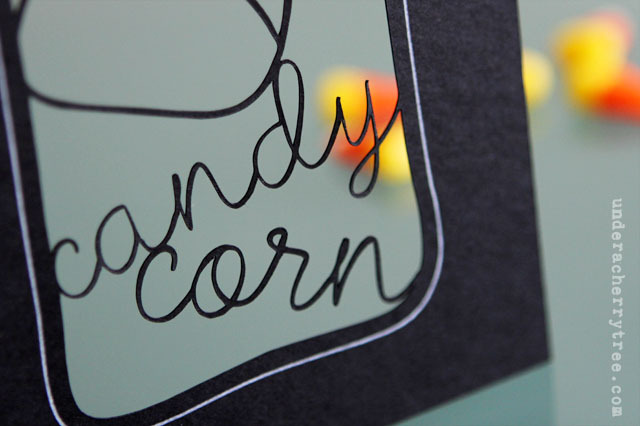 Ahhh...candy corn. My kids really like them but to be honest, I don't really care for it. I do, however, enjoy them as a cut file. 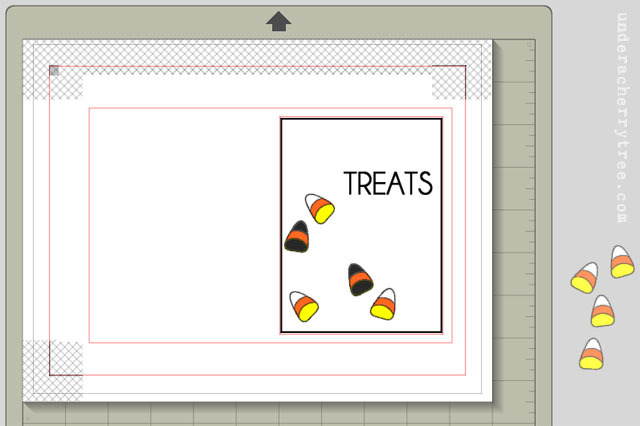 I used Silhouette Studio and my candy corn to make today's card. It is simple but looks more complicated than it really is. 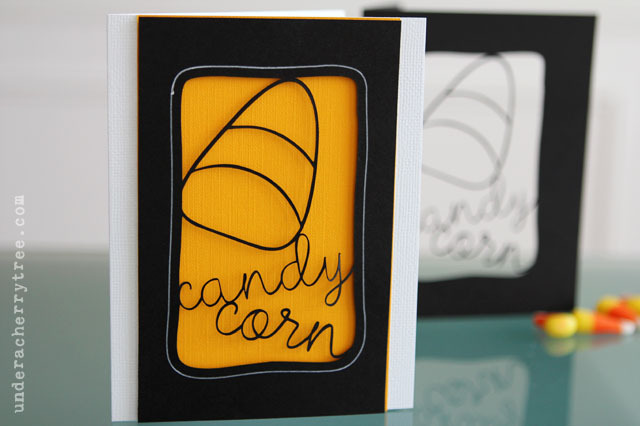 To make the card, I printed some of the candy corn on the card front, raised a couple of paper-pieced ones with foam tape, and also made a few with the negative cuts using washi tape. 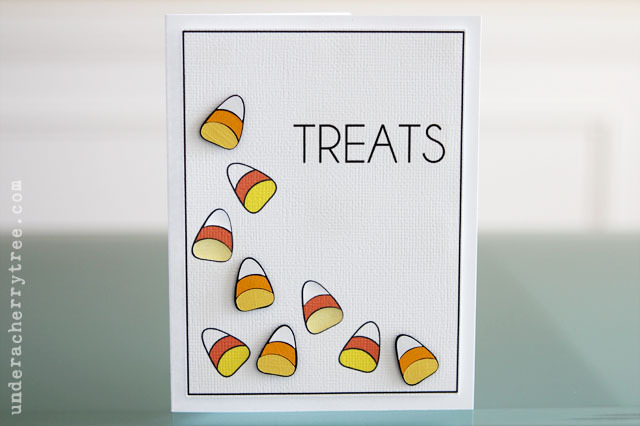 Placing the candy corn at different heights brings an interesting 3-dimensional look to a card that would otherwise look flat and boring. Hope that you enjoyed today's project. 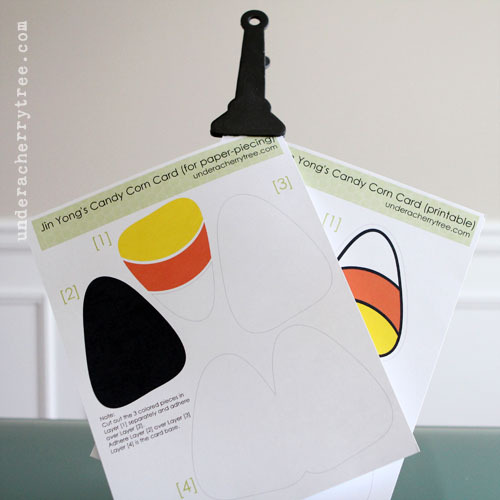 If you have not downloaded your free candy corn, just click HERE to get it.